Financial services firms in the GCC region are poised to take advantage of an impending global recovery. The global economic and financial crisis arrived late in the six nations of the Gulf Cooperation Council and appears to be leaving early. Like a powerful sandstorm, it whipped up a lot of dust and left some stunned victims in its wake. But global investors who fled in the second half of 2008 are returning, and liquidity conditions have improved, although credit growth remains subdued. Elias Bikhazi, chief economist at National Bank of Kuwait, the largest Kuwaiti bank, says most of the GCC economies should begin to recover in 2010, following a flat-to-down year in 2009. "The outlook is improving," he says. "Financial markets have stabilized, although there is still a long road to travel before trend growth returns for the world economy." Kuwait's gross domestic product likely will decline by 4% to 5% in 2009, Bikhazi forecasts. "The UAE also could show negative growth this year, with the remaining GCC economies relatively flat, except for Qatar, which is growing faster than the rest because of the expansion of its LNG [liquefied natural gas] exports," he says. When global growth resumes, this will feed through to local economies through higher oil-export revenues, he says. "Economic circumstances have forced us to re-prioritize," says Adel El-Labban, chief executive of Bahrain-based AUB Group and managing director of Ahli United Bank (AUB). "It is very tempting to go bottom-fishing, but there is simply too much dust in the air. We have to wait for the dust to settle," he says. In line with its strategy to become a leading pan-Gulf provider of comprehensive financial services, AUB had been on a schedule of completing one acquisition every 18 months. The latest was in December 2007, when it bought a 35% stake in Ahli Bank-Oman. "We don't plan to make any acquisitions in the coming year," El-Labban says. Talal Al-Zain, chief executive of Mumtalakat, the holding company for the non-oil assets of the government of Bahrain, says 2009 is going to be a year of domestic investments for the fund. Mumtalakat's holdings include national carrier Gulf Air, Bahrain Aluminum, several real estate companies and motorsports venue Bahrain International Circuit (BIC). Altogether, the sovereign wealth fund has stakes in 35 companies. "We are dedicated to creating a global portfolio of investments balanced across different sectors and markets to deliver long-term growth through economic cycles," Al-Zain notes. The fund is in no hurry, however, to rush into global markets for fear of missing opportunities in distressed sectors, Al-Zain says. "We don't think this is a risk," he explains. "We believe that there is still time for some good opportunities, so we're keeping a watching brief, and we will resume international acquisitions when valuations have bottomed out." Al-Zain, who is also chairman of Gulf Air, says the airline has been through a tough period in the past few years. "However, we are well on the way to rehabilitating the brand and focusing on our strong Middle East network, ensuring connectivity to major financial cities, and building our reputation around friendly service," he says. "We are in the process of re-fleeting Gulf Air, as we see this as the perfect time to do so." Mumtalakat is increasingly looking at how to maximize the cross-marketing potential of its assets. In April, at the Bahrain Grand Prix, it announced a $1 billion development, known as @bahrain, to be built alongside the BIC. "Some of the services on offer will include a racing club, where members can house their performance sports cars, have them maintained and drive them on the BIC," Al-Zain says. The development will also include a convention center, hotels and an indoor arena. The fund also holds a 30% stake in UK automaker McLaren, which has a Formula One racing team. "We are excited about McLaren's plans for a new road sports car," Al-Zain says. "We believe it will potentially add a new dimension of value to McLaren and to Mumtalakat." Meanwhile, Bahrain is rapidly gaining a global reputation for its expertise in Islamic finance, insurance and technology, Al-Zain says. "We are interested in the financial services sector broadly as an investment opportunity, as well as a means of building on Bahrain's position as the financial services hub for the Gulf region," he says. In March 2009, when many real estate development projects in the region were being postponed, scaled back and even canceled, Global Banking Corporation (GBCorp), an Islamic investment bank based in Bahrain, announced a multi-million-dollar upscale waterfront development, Marsa Al Seef. 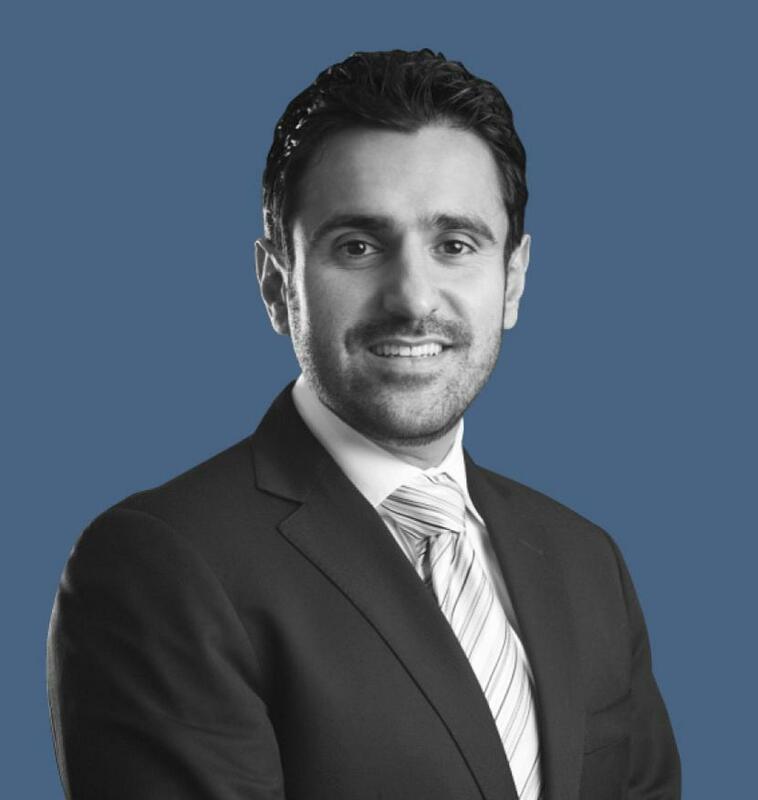 "If you want to stand out, this is the time," says Ahmed Al Khan, senior executive director and head of investment banking at GBCorp. "The waters are calm today, so we can be heard louder." In addition, construction costs are down 40% from a year ago, resources are more available and promotional costs are lower, he points out. This will make the project very attractive for investors, he adds. "Pre-selling won't begin until 2011, and by then the economy will hopefully have revived," he says. Marsa Al Seef, a waterfront city on Bahrain's northern coast, will include homes, shops and leisure facilities based on a maritime lifestyle. Meanwhile, GBCorp is pursuing other investment opportunities that will add value to its portfolio of shariah-compliant services, Al Khan says. 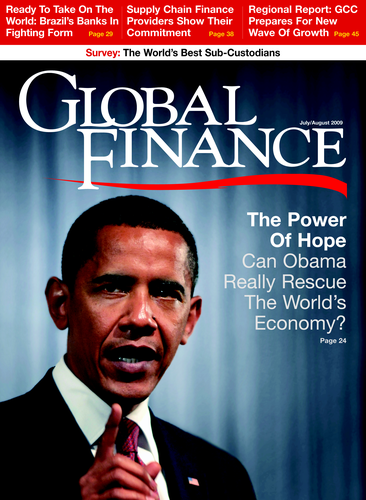 GBCorp subsidiary Global Energy Financial Services entered a strategic partnership in May 2008 with Taylor-DeJongh, a Washington, DC-based investment bank. The partnership was established as an energy advisory company. 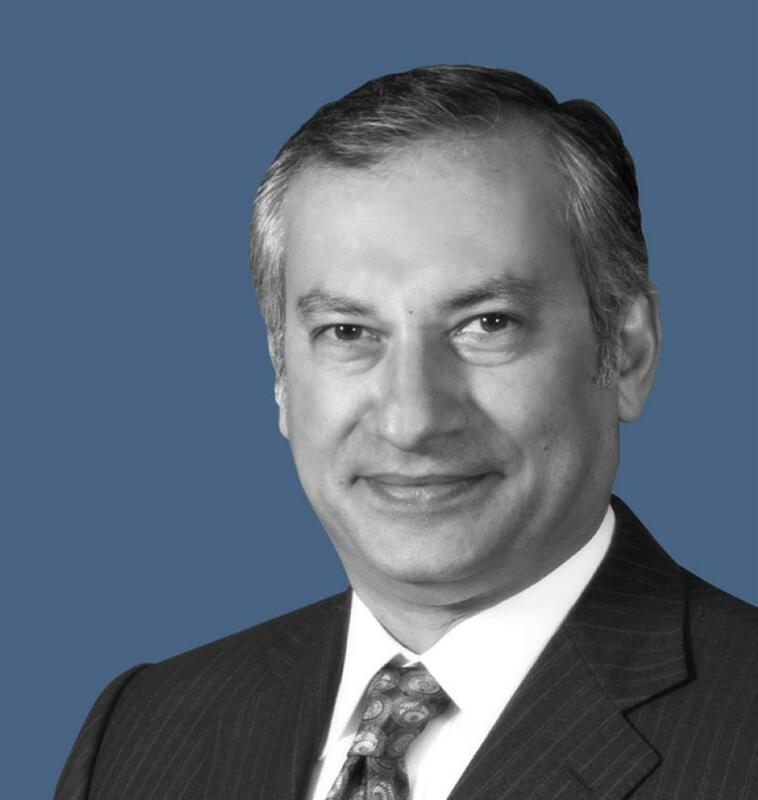 "We are planning to capitalize on the window of opportunity that President Obama's program to develop renewable energy projects will offer," Al Khan says. Neighboring Qatar, which plans to link to Bahrain with a $2.7 billion causeway, took some big steps in June to boost its profile as a financial center. NYSE Euronext invested $200 million for a 20% stake in Qatar Exchange, which will replace the Doha Securities Market. Meanwhile, QFC Authority, which runs the Qatar Financial Center, announced a system to support trading between insurers and reinsurers, as well as brokers. Qatar Insurance Services, operating under the Qatarlyst brand, aims to improve the efficiency of commercial reinsurance transactions and promote the role of Qatar as an insurance hub. Qatar First Investment Bank, the first independent Islamic investment bank to be licensed by the QFC, has completed its first transaction, says Mike de Graffenried, CEO of CFIB. The bank has invested its own capital in a mixed commercial/residential development in Libya. With more than 1,100 shareholders from Qatar and other GCC countries, CFIB celebrated its official opening in March with a ceremony at the Museum of Islamic Art. Former US president Bill Clinton spoke at the event about the challenges of glob¬alization. The bank plans to invest in real estate, healthcare and other shariah-compliant projects in the Middle East and North Africa, de Graffenried says. Saudi Arabia, the biggest GCC economy, has increased government spending significantly. The finance ministry approved projects worth more than $10 billion in the first quarter of 2009, double the amount for the same period a year earlier. However, private sector projects coming to the market have dwindled over the past six months, says Howard Handy, chief economist at Riyadh-based Samba Financial Group. "Banks remain cautious about corporate growth prospects, particularly for those firms that are dependent on export demand," Handy says. "The experience of the global financial crisis has encouraged all banks, not just Saudi Arabia's, to re-focus on risk management."